Francisco Gustavo Sánchez Gómez (21 December 1947 – 25 February 2014), known as Paco de Lucía [ˈpako ðe luˈθia], was a Spanish virtuoso flamenco guitarist, composer and producer. A leading proponent of the new flamenco style, he helped legitimize flamenco among the establishment in Spain, and was one of the first flamenco guitarists to cross over successfully into other genres of music such as classical and jazz. Richard Chapman and Eric Clapton, authors of Guitar: Music, History, Players, describe de Lucía as a "titanic figure in the world of flamenco guitar", and Dennis Koster, author of Guitar Atlas, Flamenco, has referred to de Lucía as "one of history's greatest guitarists". De Lucía was noted for his fast and fluent picados (fingerstyle runs). A master of contrast, he often juxtaposed picados and rasgueados (flamenco strumming) with more sensitive playing and was known for adding abstract chords and scale tones to his compositions with jazz influences. These innovations saw him play a key role in the development of traditional flamenco and the evolution of new flamenco and Latin jazz fusion from the 1970s. He received acclaim for his recordings with flamenco singer Camarón de la Isla in the 1970s, recording ten albums which are considered some of the most important and influential in flamenco history. Some of de Lucía's best known recordings include Río Ancho (later fused with Al Di Meola's Mediterranean Sundance), Entre dos aguas, La Barrosa, Ímpetu, Cepa Andaluza and Gloria al Niño Ricardo. His collaborations with guitarists John McLaughlin, Al Di Meola and Larry Coryell in the late 1970s saw him gain wider popularity outside his native Spain. 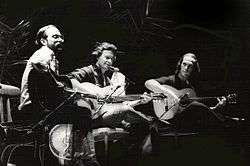 De Lucía formed the Paco de Lucía Sextet in 1981 with his brothers, singer Pepe de Lucía and guitarist Ramón de Algeciras, and collaborated with jazz pianist Chick Corea on their 1990 album, Zyryab. In 1992, he performed live at Expo '92 in Seville and a year later on the Plaza Mayor in Madrid. After 2004 he greatly reduced his public performances, retiring from full touring, and typically only gave several concerts a year, usually in Spain and Germany and at European festivals during the summer months. Paco de Lucía was born on 21 December 1947 as Francisco Sánchez Gómez in Algeciras, a city near the far southern point of Spain in the province of Cádiz. He was the youngest of the five children of flamenco guitarist Antonio Sánchez Pecino and Portuguese mother Lúcia Gómez; his brothers include flamenco singer Pepe de Lucía and flamenco guitarist Ramón de Algeciras (now deceased). Playing in the streets as a young boy, there were many Pacos and Pablos in Algeciras. In Spain and Latin America, any of these children with common first names would be referred to as follows: '"Name of Child", (son or daughter) of "Name of Mother,"' or "Paco (son) of Lucia" in his case, instead of using the child's last name. Later, after learning to play the guitar and tasked with figuring out a way to bill himself, wanting to honor his Portuguese mother Lucia Gomes, he adopted the stage name Paco de Lucía. His father Antonio received guitar lessons from the hand of a cousin of Melchor de Marchena: Manuel Fernández (aka Titi de Marchena), a guitarist who arrived in Algeciras in the 1920s and established a school there. Antonio introduced Paco to the guitar at a young age and was extremely strict in his upbringing from the age of 5, forcing him to practice up to 12 hours a day, every day, to ensure that he could find success as a professional musician. At one point, his father took him out of school to concentrate solely on his guitar development. In a 2012 interview de Lucía stated that, "I learned the guitar like a child learns to speak." Flamenco guitarist and biographer Donn Pohren and record producer José Torregrosa compared Paco's relationship with his father to the relationship of Wolfgang Amadeus Mozart and Leopold Mozart in the way both fathers "moulded their sons" into becoming world-class musicians, and both continued to dictate even after the latter became famous. Paco's brother Ramón idolized Niño Ricardo, and taught his complex falsetas to his young brother, who would learn them with relative ease and change them to his own liking and embellish them. This initiallyangered Ramón, who considered Ricardo's works to be sacred and thought his brother was showing off; but he soon began to respect his brother immensely, and came to realize that he was a prodigious talent, fuera de serie (out of the ordinary). As also with Ramón, Ricardo was Paco's most important influence, and his first guitar hero; Paco said "all of us youngsters would look up to him, trying to learn from him and copy him." In 1958, at age 11, Paco made his first public appearance on Radio Algeciras. That year, he met Sabicas for the first time in Málaga. A year later, he was awarded a special prize at the Festival Concurso International Flamenco de Jerez de la Frontera flamenco competition. At the age of 14 he made his first record with his brother Pepe, Los Chiquitos de Algeciras (Kids of Algeciras). In the early 1960s, de Lucía toured with the flamenco troupe of dancer José Greco. In New York City in 1963, at the age of 15, he had his second encounter with Sabicas and his first encounter with Mario Escudero, both of whom became de Lucía's mentors and later close friends. They urged him to start writing his own material, advice he took to heart. 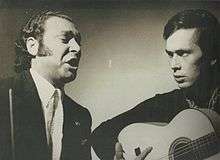 In 1964, he met Madrileño guitarist Ricardo Modrego with whom he recorded three albums: Dos guitarras flamencas (1964), 12 canciones de García Lorca para guitarra and 12 éxitos para 2 guitarras flamencas (1965). His early albums were traditional flamenco recordings and he recorded classics such as Malagueña on the 12 éxitos para 2 guitarras flamencas album. He toured again with José Greco in 1966 and recorded Ímpetu, a bulerias composed by Mario Escudero,  for his debut solo album, La fabulosa guitarra de Paco de Lucía (1967). He appeared at the 1967 Berlin Jazz Festival. According to Gerhard Klingenstein, top jazz musicians who appeared at the festival (i.e. Miles Davis, Thelonious Monk), profoundly influenced de Lucía, and sparked a fascination for jazz that remained with him throughout his life. In the late 1960s, de Lucía toured Europe with a group called Festival Flamenco Gitano and encountered other new talents in the flamenco world including singer Camarón de la Isla, with whom he enjoyed a fruitful collaboration between 1968 and 1977. They recorded ten albums together and received considerable acclaim. Richard Nidel said that their partnership was "central to the history of flamenco in the last quarter of the twentieth century." Organizers began offering de Lucía lucrative contracts for concert tours in 1967, which he declined as he preferred to tour in company, which he did with his brother Ramón, de la Isla and other musicians. De Lucía recorded many albums with his brother, including Canciones andaluzas para 2 guitarras (1967), Dos guitarras flamencas en América Latina (1967), Fantasía flamenca de Paco de Lucía (1969), and 12 Hits para 2 guitarras flamencas y orquesta de cuerda (1969). They met Esteban Sanlucar in Buenos Aires and Juan Serrano in Detroit, and during 1970 spent considerable time in New York City where they grew close to Sabicas and Mario Escudero, playing together into the night. De Lucía made a cameo appearance, dressed as a Mexican guitarist, in the 1971 western Hannie Caulder, playing the melody of Ken Thorne's main theme over a string section. That year, he released the album El mundo del flamenco, which included a version of Mario Escudero's Ímpetu, a bulerías. Guitar International mentioned his "very aggressive" approach to playing Ímpetu. Escudero was a major influence on de Lucía during this period, inspiring him to explore new possibilities for flamenco. He began working with record producer José Torregrosa. De Lucía's 1972 release El duende flamenco de Paco de Lucía was considered a groundbreaking album in the flamenco community. As the 1970s progressed, de Lucía continued to produce groundbreaking albums and ventured into an increasingly unconventional and innovative style of flamenco with jazz influences. His next release, Fuente y caudal, acclaimed particularly for his Entre dos aguas, which has become arguably his best-known composition, and also for Solera and Cepa Andaluza. Entre dos aguas, a rumba featuring bongos with an electric bass, means "Between two waters," referring to his home town of Algeciras, where the Mediterranean meets the Atlantic. Biographer Pohren describes Cepa Andaluza as a "phenomenal" bulerías, which is "accompanied by palmas, shouts of encouragement and general jaleo, and makes one want to leap up and dance." The album also features several other tracks named after Andalusian landmarks, a theme de Lucía continued in his later albums. The Fuente y caudal album was one of the best-selling Spanish records for several months and de Lucía and Torregrosa found that the additional instruments and approach away from traditional flamenco proved more popular with the general public. The early influences of the traditional players became increasingly less apparent as de Lucía embraced jazz and other influences, creating his own voice and distinct style, yet never venturing too far from his roots. 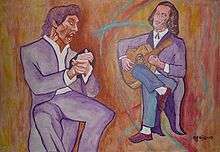 On 18 February 1975, de Lucía became the first-ever flamenco performer to perform at the Teatro Real of Madrid. He played a set with his brother Ramón, in front of a relatively young audience without the use of effects. Pohren said that de Lucía's performance "was brilliant technically, and played a meaningful, moving, traditional brand of flamenco that did not betray what Paco had in store for the flamenco guitar in the future." The recording was released as En vivo desde el Teatro Real. His 1976 album, Almoraima, was a wider success and featured Almoraima and Río Ancho. The album was named after a former convent of the same name located about 21 kilometres (13 mi) from Algeciras on the road to Jimena de la Frontera, which had recently been converted into a hotel complex. The album featured significant Arabic and jazz influences especially in the bulerías composition of the same name; the name Almoraima is of Arabic origin from the Moorish period. De Lucía performed on an episode of Parkinson on BBC in the UK, in which Michael Parkinson said "a marvelous young musician who is making his very first appearance on British television. His unconventional and modern approach to playing flamenco has already made him a big star in Europe, particularly in his native Spain." In 1977, de Lucía married Casilda Varela, the daughter of General Varela; they had three children. He released his final album, Castillo de Arena with Camarón de la Isla, The lyrics were written by Antonio Sánchez, with the exception of the bulerías Samara, which Sánchez and de la Isla wrote together. This would be his last LP with a singer for at least 15 years. He reportedly said that the human voice is "naturally too limited" and that he prefers the exploration of different instrumentalists; he also said a busy schedule was the reason for lack of recordings with singers. He performed extensively across the US and Europe during this period, increasing his popularity outside Spain and the flamenco community in Europe, and met many jazz, Latin and other musicians who continued to influence de Lucía's evolution as a "Nuevo flamenco" player. He began to show a very keen interest in jazz fusion and rock, and in 1977 performed with Carlos Santana in the Plaza de toros de las Arenas bullring in Barcelona. He was invited by Al Di Meola to record on his "Mediterranean Sundance" piece for his album Elegant Gypsy. Despite considerable new interest in flamenco and de Lucía's playing generated by the album, traditionalist flamenco critics did not approve of the piece and hated that many people considered Mediterranean Sundance flamenco music and frowned upon de Lucía. Di Meola informed the critics not to worry and that "Paco is not leaving flamenco, but expanding it." In 1978, Paco and his brothers recorded Interpreta a Manuel de Falla, a classical effort of compositions by Manuel de Falla. In 1979, de Lucía, John McLaughlin, and Larry Coryell formed The Guitar Trio and together made a tour of Europe and released a video recorded at London's Royal Albert Hall entitled Meeting of the Spirits. Pohren said that de Lucía's decision to work with musicians like McLaughlin, Di Meola, Coryell, and Chick Corea must have been an "exciting and stimulating" experience for him, given their technical musical knowledge and ability to improvise and said that they carried him "so far afield that at times he must have been profoundly confused, a man running the risk of losing his musical identity." This concerned de Lucía, who said in a late 1990s interview, "I have never lost the roots in my music, because I would lose myself. What I have tried to do is have a hand holding onto tradition and the other scratching, digging in other places, trying to find new things I can bring into flamenco." The Guitar Trio continued touring in 1980. De Lucía reportedly suffered from headaches and backaches while performing because he found it difficult to improvise and follow McLaughlin and Coryell's advanced knowledge of jazz improvisation. Paco professed, "Some people assume that they were learning from me, but I can tell you it was me learning from them. I have never studied music, I am incapable of studying harmony—I don't have the discipline, playing with McLaughlin and Di Meola was about learning these things." In 1981, Coryell was replaced with Di Meola, and The Guitar Trio released one of their most successful records, Friday Night in San Francisco, which sold over 1 million copies and generated a significant interest in flamenco music in America and Europe. It featured an extended combination of Mediterranean Sundance and Río Ancho; this became arguably the piece most associated with the musicians. De Lucía also formed the Paco de Lucía Sextet in 1981 (which included his brothers Ramón and Pepe), and released the first of its three albums that same year. On 30 August 1981, de Lucía performed a solo set at St. Goarshausen in Germany, where he performed Monasterio de Sal and Montino among others and later performed with The Guitar Trio. The event was broadcast on national WDR television. In 1982, Paco put on a series of concerts with jazz pianist Chick Corea. Corea was a considerable influence on him in the 1980s and he and McLaughlin adapted a version of his piece Spain, performing it live together several times in the mid to late 1980s. He released a "Golden" double compilation album in 1982, La Guitarra de Oro de Paco de Lucía, covering Paco's earliest recordings with Ricardo Modrego of Federico García Lorca songs to date, and featured two siguiriyas, a flamenco form in which he hadn't indulged in his recordings since 1972. In 1983, the Trio released Passion, Grace & Fire, and he had an acting role in Carlos Saura's highly acclaimed film Carmen, for which he was also nominated for a BAFTA Film Award for Best Score. De Lucía composed original film scores for several films in the 1980s, including The Hit, a 1984 film in which he provided the soundtrack with Eric Clapton, with a minor contribution by Roger Waters. On his 1984 album, Live... One Summer Night, De Lucía not only played guitar, but also filled the role of producer. Paco de Lucía has also appeared as himself on television in documentaries and TV shows and accepted a position as a judge at Seville's 1984 Biena. By the mid-1980s, both the Sextet and the Guitar Trio had reached its plateau and stopped performing together, although de Lucía would continue to perform with McLaughlin as a duo across Europe in 1986 and later. In a 1986 interview with Down Beat magazine, Di Meola said that the reason for the breakdown was that their performances were designed to "drive the audience berserk" with a display of astonishing virtuosity and that they had run out of new spectacular fast runs to impress the audiences. Di Meola remarked that the music had become too "wild and crazy" and that he preferred to explore the quieter side of music, something Paco also felt, saying that he preferred "controlled expression to velocity." In May 1986, he performed at the Centro de Bellas Artes Rock music festival alongside the likes of Earl Klugh, Spyro Gyra, and Dave Valentin. In 1987, de Lucía performed for the first time in the Soviet Union, and went back to his roots with his highly successful release, Siroco. Siroco is often cited as his best album and one of the greatest flamenco albums of all time. His compositions La Cañada, the opening track, a tango called La Barrosa, an alegrías named after the Playa la Barrosa in the province of Cadiz, and Gloria al Niño Ricardo, a soléa, received considerable attention and are considered modern flamenco classics. Eric Clapton and Richard Chapman described La Barrosa, a sweet alegrías played in B major, as, "full of effortless delicacy with cascading phrases." "Gloria al Niño Ricardo" is dedicated to Niño Ricardo who was de Lucía's "first hero" of the guitar. Several of his compositions from that album form the staple of his contemporary concert performances, and he often begins his concerts with La Cañada. In 1989, de Lucía refused to perform at the bullring in Seville with Plácido Domingo and Julio Iglesias. Although the sextet had declined after 1986, in 1990 they got together to record Zyryab, a groundbreaking Arabic flamenco/jazz album with jazz pianist Chick Corea and fellow virtuoso flamenco guitarist Manolo Sanlúcar. The album is named after Ziryab, an 8th–9th century Shiraz-born poet/musician at the Umayyad court in Córdoba, credited with introducing to Spain the Persian lute, which evolved into the Spanish guitar—and according to some, established flamenco itself. One track on the album, a tarantas, is dedicated to Sabicas. The album was critically well-received; Jazz Times praised the passion and rhythm of the musicians featuring on the album. Until asked to perform and interpret Joaquín Rodrigo's Concierto de Aranjuez in 1991, de Lucía was not proficient at reading musical notation. Biographer Pohren, however, at the time of writing his biography in 1992, said that he was still not proficient and had found a bizarre way of learning the piece, locking himself away. His performance with the orchestra under Edmon Colomer was highly acclaimed, a sensitive, atmospheric rendition that composer Rodrigo himself praised, describing it as "pretty, exotic, inspired" ... I might add that Paco plays it with a great deal of feeling, far more than is normally heard. And that goes for the orchestra that backs him up." In 1992, he performed live at the bullring at Seville Expo '92, and a year later on the Plaza Mayor in Madrid, playing "La Barrosa". In 1995, he and Bryan Adams recorded the hit song and video Have You Ever Really Loved A Woman on the soundtrack for the American film Don Juan DeMarco. In 1996, his first "golden hits" album, Antología, was in the top 20 in Spain for at least 16 weeks, selling over 65,000 copies. In 1997, de Lucía performed in a tribute show to the assassinated Spanish politician Miguel Angel Blanco, alongside the likes of Julio Iglesias and Los Del Rio. In 1998 he released and produced "Luzia", dedicated to his mother (whose name is spelled phonetically). It is considered to be one of de Lucia's most complete and mature artistic statements. De Lucía lived for five years in Yucatan, Mexico, but returned to his native Spain in 2003 after professing to have become really tired with spending his whole life touring for six to eight months a year, getting up at the crack of dawn and living in hotels. He continued to keep a holiday home in Mexico though and regularly visited with his family. In 2003, de Lucía released Integral (2003), a 26 CD Limited Edition Box Set, and Por Descubrir, a compilation album. In 2004, de Lucía released Cositas Buenas with Javier Limón. It was released on Blue Thumb Records by Universal Music Spain S.L., and features four bulerías, two rumba tracks, a tangos and a tientos. It won the Latin Grammy Award for Best Flamenco Album 2004. In 2005, he was nominated for producer of the year by the Latin Grammy for La Tana's "Tu, Ven a Mi", which was De Lucía's first recording where he directed another artist since working on Camarón de la Isla's Potro de rabia y miel. In 2004, he won the Prince of Asturias Awards in Arts, and on 23 March 2007, the University of Cadiz recognized de Lucía's musical and cultural contributions by conferring on him the title of Doctor Honoris Causa. In 2010, he was awarded an honorary doctorate by Berklee College of Music in Boston, and performed at the Montreux Festival. However, he is known some years to select countries where he doesn't usually perform and played in Pula, Croatia in 2006 and 2010, and in Turkey, Morocco and Tunisia in 2013. He appeared at the 49th Carthage International Festival on 31 July, playing at the Roman Theatre. De Lucía died of a heart attack on 25 February 2014, while on holiday with his family in Playa del Carmen, Quintana Roo, Mexico. His remains were buried at a cemetery in Algeciras, Andalusia. De Lucía posthumously won the Latin Grammy Award for Album of the Year for his album Canción andaluza at the 2014 awards ceremony. De Lucía was widely considered to be the world's premier flamenco guitarist and by many to be Spain's greatest musical export. He has had a revolutionary influence on flamenco music both as a composer and otherwise. His influence on flamenco guitar has been compared with that of Andrés Segovia's on classical guitar. His album Fuente y Caudal (Fountain and Flow) has been cited by many to have changed the world of flamenco guitar beyond traditional flamenco culture. Along with Enrique Morente and Camarón de la Isla, de Lucía was the first artist to break away from traditional flamenco and form what is now known as nuevo flamenco. As a composer, de Lucía was the first Spanish artist to mix jazz with Andalusian music in a more or less systematic way. This includes, but is not limited to, his collaborations with Di Meola, McLaughlin, and Pedro Iturralde. De Lucía was influenced primarily by Niño Ricardo, a leading figure in the history of flamenco guitar, and Sabicas, regarded as one of the most influential musicians involved in the development and refinement of the flamenco guitar as a concert instrument at a time when the guitar was an instrument to accompany the singer. Sabicas was a mentor to Paco in developing his flamenco guitar technique, as well in honing Paco's skills as a composer, characterized by melodic structure, rhythmic and harmonic, perfectly consistent from beginning to end, and non-lyrical phrased guitar falsetas when the singer stops singing. Esteban de Sanlúcar and Mario Escudero were also major influences on him and sources of inspiration. According to biographer Pohren, de Lucía was "fascinated with jazz" and held a deep respect for high-tech jazz musicians, regarding Di Meola, McLaughlin, Coryell and Corea as highly as musicians as he did his flamenco mentors. Despite these influences, according to the Jazz Times, "Most flamenco fans can trace the music's history to either Before Paco or After Paco." In 2004 interview with El País he said "I have always found that the more technique you have the easier it is to express yourself. If you lack technique you lose the freedom to create." Like many other flamenco guitarists he often played a Hermanos Conde guitar and had his own signature model, but had a range of guitars in his collection. Richard Chapman and Eric Clapton describe de Lucía as a "titanic figure in the world of flamenco guitar", highlighting his "astounding technique and inventiveness" and his broad range of musical ideas from other styles, such as Brazilian music and jazz. He is noted for his innovation and colour in harmony and his remarkable dexterity, technique, strength and fluidity in his right hand, capable of executing extremely fast and fluent picados. A master of contrast, he often juxtaposes picados with rasgueados and other techniques and often adds abstract chords and scale tones to his compositions with jazz influences. Bill Milkowski of Down Beat described him as "the portrait of studied concentration and pristine perfection: stiff backed and stern faced, with a distinguished air about him that some might misread as haughtiness. He's proud and majestic, like a regal Arabian steed prancing with grace and elegance, yet able to reveal great power." Craig Harris of AllMusic noted his "deeply personal melodic statements and modern instrumentation." Atlanta magazine said, "The guitar, when used properly, can be one of the most haunting and beautiful instruments to create sound ... when he brushes his fingers across the strings, [he] can create some of the most incredible music. It's almost like a lullaby." José Luis Acosta, president of the Spanish Artists and Editors Society stated that "Paco was and will be a universal artist, who took the guitar and flamenco sentiment to the heart of the whole world." In 2015, Billboard magazine named de Lucía as one of The 30 Most Influential Latin Artists of All Time, an editor writes: "The virtuoso intrumentalist popularized flamenco worldwide, and brought the Spanish sound to the forefront of avant-garde jazz.". In the same year, he was posthumously inducted into the Latin Songwriters Hall of Fame for his contributions to flamenco music. Another of Paco de Lucía's contributions was the inclusion of the cajón, an Afro-Peruvian instrument Caitro Soto exposed to him during his visit to Peru in the late 1970s. He understood this instrument, which he saw as a permanent solution to the need for percussion in flamenco. Along with Rubem Dantas, he added its percussive elements and it became an essential tool of contemporary flamenco and later, other international musical trends. 1 2 Chapman & Clapton 2000, p. 40. ↑ Koster, Dennis (1 June 2002). Guitar Atlas, Flamenco. Alfred Music Publishing. p. 5. ISBN 978-0-7390-2478-2. Retrieved 4 March 2013. ↑ Wald, Elijah (2007). Global Minstrels. Routledge. p. 185. ISBN 978-0-415-97929-0. Retrieved 4 March 2013. 1 2 3 4 5 6 7 Harris, Craig. "Paco de Lucía: Biography". Allmusic. Retrieved 17 September 2011. ↑ "Paco de Lucia flamenco guitar master and virtuoso". Flamenco-guitars.com. Retrieved 22 September 2010. ↑ Bennett, Joe (2002). Guitar Facts. Hal Leonard Corporation. ISBN 978-0-634-05192-0. Retrieved 9 November 2015. ↑ Ross, Dorien (1 October 1995). Returning to "A". City Lights Books. p. 70. ISBN 9780872863071. Retrieved 4 May 2011. ↑ Pohren 1992, p. 41. ↑ "Renowned Spanish flamenco guitarist Paco de Lucia dies at 66". Reuters. 26 February 2014. Retrieved 26 February 2014. ↑ Pohren 1992, p. 95. ↑ Billboard. Nielsen Business Media, Inc. 11 October 1997. p. 63. ISSN 0006-2510. 1 2 Pohren 1992, p. 117. ↑ Pohren 1992, p. 76. ↑ Custodio 2005, p. 106. ↑ Pohren 1992, pp. 100, 117. ↑ Pohren 1992, p. 118. ↑ Nidel, Richard (2005). World Music: The Basics. Routledge. p. 140. ISBN 978-0-415-96800-3. Retrieved 24 March 2013. ↑ Pohren 1992, p. 119. 1 2 Koster, Dennis (18 August 2011). The Keys to Flamenco Guitar Volume 1. Mel Bay Publications. p. 7. ISBN 978-1-61065-764-8. Retrieved 24 March 2013. ↑ Guitar International. Musical New Services Limited. 1990. p. 40. Retrieved 24 March 2013. ↑ Pohren 1992, p. 79. ↑ Custodio 2005, p. 108. ↑ Billboard. Nielsen Business Media, Inc. 6 July 1996. p. 54. ISSN 0006-2510. Retrieved 20 June 2013. 1 2 Pohren 1992, p. 81. 1 2 Pohren 1992, p. 80. 1 2 Pohren 1992, p. 82. ↑ Parkinson, Michael (1976). Paco de Lucía, Parkinson. BBC. ↑ Films in Review. National Board of Review of Motion Pictures. 1978. p. 143. Retrieved 24 March 2013. 1 2 Pohren 1992, p. 92. ↑ Pohren 1992, p. 100. 1 2 Pohren 1992, p. 102. 1 2 Pohren 1992, p. 101. ↑ Martinez, Emma (24 February 2011). Flamenco: All You Wanted to Know. Mel Bay Publications. p. 55. ISBN 978-1-60974-470-0. Retrieved 24 March 2013. 1 2 3 Billboard. Nielsen Business Media, Inc. 6 March 2004. p. 26. ISSN 0006-2510. Retrieved 24 March 2013. ↑ "Paco De Lucia - Monasterio De Sal". Accessed via YouTube. Retrieved 27 February 2014. ↑ Pohren 1992, p. 87. ↑ Randel, Don M. (1996). The Harvard Biographical Dictionary of Music. Harvard University Press. p. 535. ISBN 978-0-674-37299-3. Retrieved 24 March 2013. ↑ Povey, Glenn (2007). Echoes: The Complete History of Pink Floyd. Mind Head Publishing. p. 4. ISBN 978-0-9554624-0-5. Retrieved 24 March 2013. ↑ Digital Audio and Compact Disc Review. WGE Publishing. 1988. p. 112. Retrieved 24 March 2013. 1 2 Pohren 1992, p. 124. ↑ Pohren 1992, p. 121. 1 2 3 Pohren 1992, p. 104. ↑ Billboard. Nielsen Business Media, Inc. 24 May 1986. p. 14. ISSN 0006-2510. Retrieved 24 March 2013. ↑ Music in the USSR. VAAP-INFORM. 1987. p. 94. Retrieved 24 March 2013. ↑ Steingress, Gerhard (2002). Songs of the Minotaur: Hybridity and Popular Music in the Era of Globalization: a Comparative Analysis of Rebetika, Tango, Rai, Flamenco, Sardana, and English Urban Folk. LIT Verlag Münster. p. 195. ISBN 978-3-8258-6363-0. Retrieved 22 April 2013. ↑ "The New Flamenco". Culturecourt.com. Retrieved 22 April 2013. ↑ Newman 2009, p. 24. ↑ Chapman & Clapton 2000, p. 41. ↑ Custodio 2005, p. 85. ↑ Woodall 1992, p. 317. ↑ Ediciones El País. "Paco de Lucía no actuó junto a Plácido Domingo y Julio Iglesias porque "sentí ofendida mi cultura"". EL PAÍS. Retrieved 8 November 2015. ↑ The Costa del Sol, Spain: Frommer's ShortCuts. Frommer's ShortCuts, John Wiley & Sons. 14 October 2011. p. 77. ISBN 978-1-118-19091-3. Retrieved 24 March 2013. ↑ Pohren 1992, p. 89. ↑ Aguilera, Miguel de; Sedeño, Ana (2008). Comunicación y música II. Tecnología y audiencias. Editorial UOC. p. 185. ISBN 978-84-9788-721-2. Retrieved 24 March 2013. ↑ Jazz Times. Jazztimes. 1992. Retrieved 24 March 2013. ↑ Pohren 1992, p. 109. ↑ Pohren 1992, p. 124-5. ↑ Billboard. Nielsen Business Media, Inc. 27 July 1996. p. 61. ISSN 0006-2510. Retrieved 24 March 2013. ↑ Billboard. Nielsen Business Media, Inc. 30 August 1997. p. 33. ISSN 0006-2510. Retrieved 24 March 2013. ↑ Nielsen (11 September 1999). Billboard. Nielsen Business Media, Inc. pp. 47–. ISSN 0006-2510. Retrieved 24 March 2013. ↑ Billboard. Nielsen Business Media, Inc. 7 February 2004. p. 52. ISSN 0006-2510. Retrieved 24 March 2013. ↑ Pohren 1992, p. 95-6. ↑ "Biodata". Javierlimon.casalimon.tv. Retrieved 24 April 2013. ↑ Nielsen (22 October 2005). Billboard. Nielsen Business Media, Inc. pp. 48, 59–. ISSN 0006-2510. Retrieved 24 March 2013. ↑ "La Tana makes her recording début with an album produced by Paco de Lucía". Flamenco-world.com. February 2005. ↑ Bush, Allen (8 May 2010). "2010 Honorary Doctor Recipients Represent R&B, Flamenco, Jazz, and World Music". Berklee College of Music. Retrieved 24 May 2010. 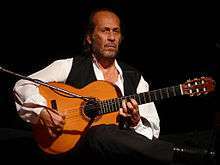 ↑ "Le concert "Envivo" de Paco de Lucia au festival international de Carthage" (in French). Tunisie14.tn. 4 June 2013. Retrieved 11 June 2013. ↑ "Muere el guitarrista flamenco Paco de Lucía, en Playa del Carmen (video)" (in Spanish). Grupo SIPSE. 26 February 2014. Retrieved 26 February 2014. ↑ "PGJE confirma muerte de Paco de Lucía en Playa del Carmen". El Universal (in Spanish). 26 February 2014. Retrieved 26 February 2014. ↑ "Paco de Lucía murió en Playa del Carmen: Procuraduría de Quintana Roo". La Crónica de Hoy (in Spanish). 26 February 2014. Retrieved 26 February 2014. ↑ "Paco de Lucía llegó por su propio pie al hospital donde murió". El Nacional (in Spanish). 26 February 2014. Retrieved 26 February 2014. ↑ "Los restos de Paco de Lucía reposan en el antiguo cementerio municipal de Algeciras" (in Spanish). RTVE. 1 March 2014. Retrieved 22 November 2014. ↑ Jue, Teresa (21 November 2014). "Enrique Iglesias, Calle 13 take home multiple Latin Grammys". Entertainment Weekly. Time Inc. Retrieved 22 November 2014. ↑ Billboard. Nielsen Business Media, Inc. 18 July 1992. p. 41. ISSN 0006-2510. Retrieved 4 March 2013. 1 2 Contreras, Felix (August 2004). 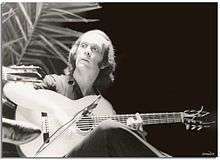 "Paco de Lucía: Flamenco Bueno". Jazz Times. Retrieved 20 August 2012. ↑ "Paco de Lucia". Don Quijote. Retrieved 22 April 2013. ↑ "Paco de Lucia". Gale Musician's Profiles. Retrieved 31 March 2014. ↑ Atlanta. Emmis Communications. February 2004. p. 74. ISSN 0004-6701. Retrieved 24 March 2013. ↑ "The 30 Most Influential Latin Artists of All Time". Billboard. Prometheus Global Media. 28 April 2015. Retrieved 1 May 2015. ↑ "2015 Inductees". Latin Songwriters Hall of Fame. Retrieved 17 October 2015. ↑ "Cajon-flamenco". Framedrums.net. Retrieved 22 April 2013. Chapman, Richard; Clapton, Eric (2000). Guitar: music, history, players. Dorling Kindersley Pub. p. 41. ISBN 978-0-7894-5963-3. Retrieved 9 November 2015. Custodio, Diana Pérez (November 2005). Paco de Lucía: La evolución del flamenco a través de sus rumbas. Servicio Publicaciones UCA. ISBN 978-84-96274-75-4. Newman, Paul Jared (15 September 2009). A New Anthology of Falsetas for Flamenco Guitar. Bold Strummer, Ltd. ISBN 978-1-57784-072-5. Pohren, D. E. (1992). Paco de Lucía and Family: The Master Plan. Society of Spanish Studies. ISBN 978-0-933224-62-9. Retrieved 9 November 2015. Woodall, James (2007). Lucía, Paco de. Grove Music Online. Oxford University Press. 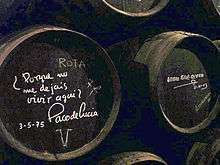 Wikimedia Commons has media related to Paco de Lucía.